Unicorns might not be real, but they live on in our hearts and imaginations. People love these mythical beasts so much, a cafe dedicated to their magical splendor has opened up in Thailand. 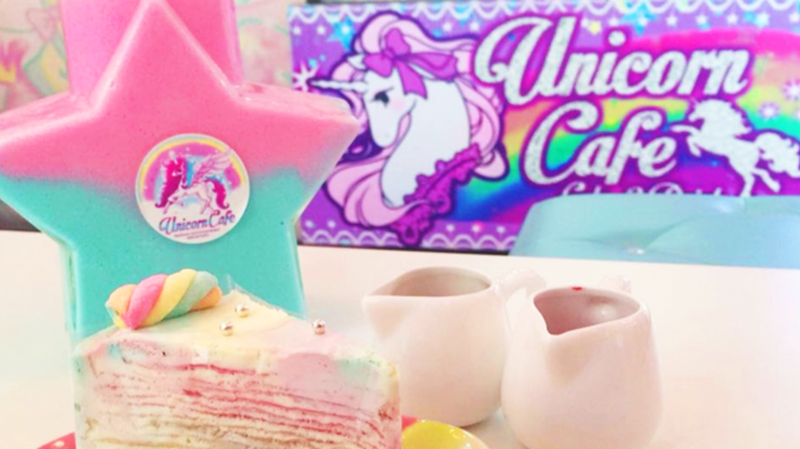 The Unicorn Cafe, located in the Bang Rak district of Bangkok, is a glittery restaurant filled to the brim with unicorn iconography, toys, and oversized pink furniture. From giant unicorn murals to a collection of My Little Pony figurines, the saccharine decor is sure to satisfy anyone's craving for pastel, ponies, and adorable fables. Besides an attractive interior, the cafe also offers an array of colorful foods to enjoy. They have a rainbow crepe cake, rainbow waffles, and even a cheeseburger with a French fry fashioned on top as a makeshift horn. For beverages, they have a variety of rainbow drinks including a gigantic cotton candy milkshake served in a star-shaped container that can feed four to five people. Guests are encouraged to cuddle up with the unicorn plush toys and possibly snap a few selfies with the giant carousel unicorn by the front of the restaurant. You can check out the kaleidoscopic interior in the Instagrams below.